TOKYO: Ace Indian shuttler PV Sindhu had to toil hard even as Kidambi Srikanth and HS Prannoy scored easy victories to progress to the second round of their respective events at the Japan Open, on Tuesday. Having finished second-best yet again with a historic silver in the Asian Games, Olympic medallist Sindhu would be desperate to break the final jinx here. Sindhu has been outstanding with silver medals in all the major events this year — the Commonwealth Games, the World Championship and the Asian Games but the gold has been eluding the Indian for a while now. In men’s singles, Prannoy defeated current Asian Games gold medallist Jonathan Christie of Indonesia 21-18 21-17 while Srikanth got the better of Chinese Yuxiang Huang 21-13 21-15 in another first round match. However, it was curtains for another Indian, Sameer Verma, who fought hard before going down 18-21 22-20 10-21 in another men’s singles opening round encounter. 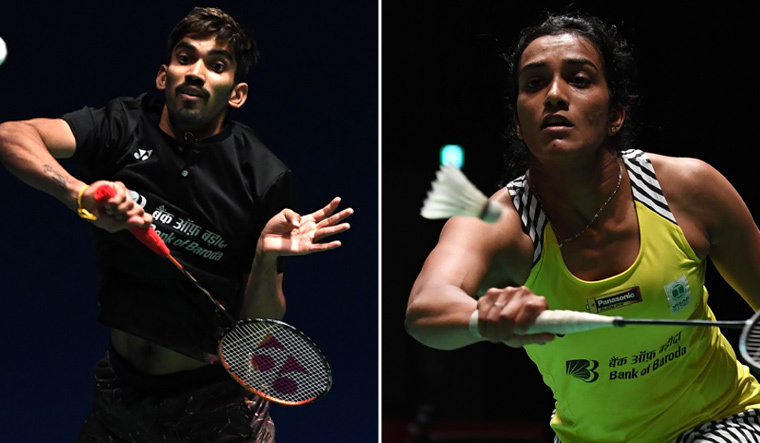 Ranikireddy and Ponappa were shown the door by second seeds Yilyu Wang and Dongping Huang of China 13-21 17-21, while Chopra and Reddy stormed into the second round with a 21-9 21-6 victory over Malaysian duo of Mathew Fogarty and Isabel Zhong.